This is a 5 shot focus stack. 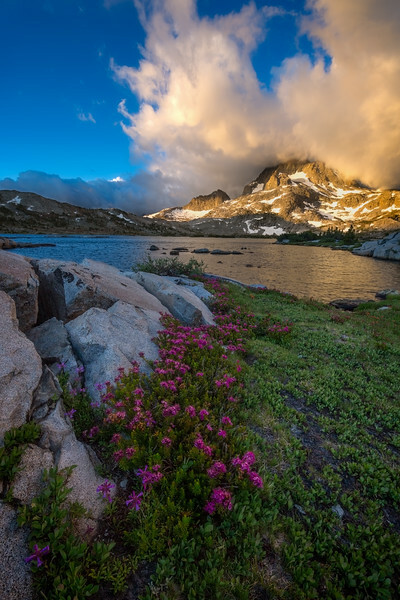 The clouds were billowing and lifting around this peak just after sunrise at this alpine lake in the Eastern Sierra Nevada mountains. I love flowers and liked how this line of flowers and rocks leads your eye into the image.